Do it today or any day! 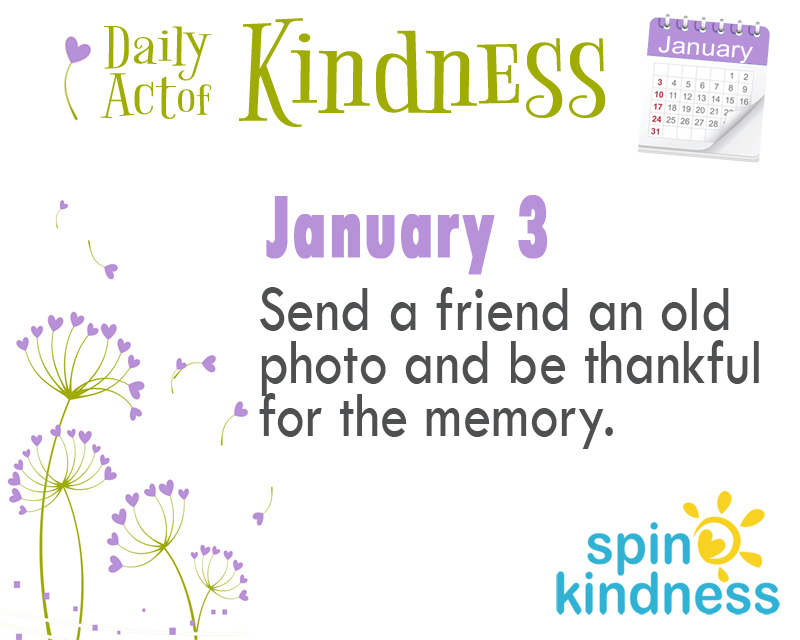 Today’s Challenge: Send a friend an old photo and be thankful for the memory. How would you feel if you were one of someone’s favorite memories? When you think of the special moments and people in your life, which memories come to mind first? Do you have pictures? If not, simply describe the time. Mail or email it to the friend(s) who were part of that memory. Be sure to tell them what it meant to you!